The fifth installation of “Beauty- Cooper Hewitt Design Triennial” is survey of aesthetics in contemporary design. On display are a number of objects with mathematical connections. Jenny Sabin’s knitted architectural is based on Mathematics in nature and was commissioned specifically for this show. 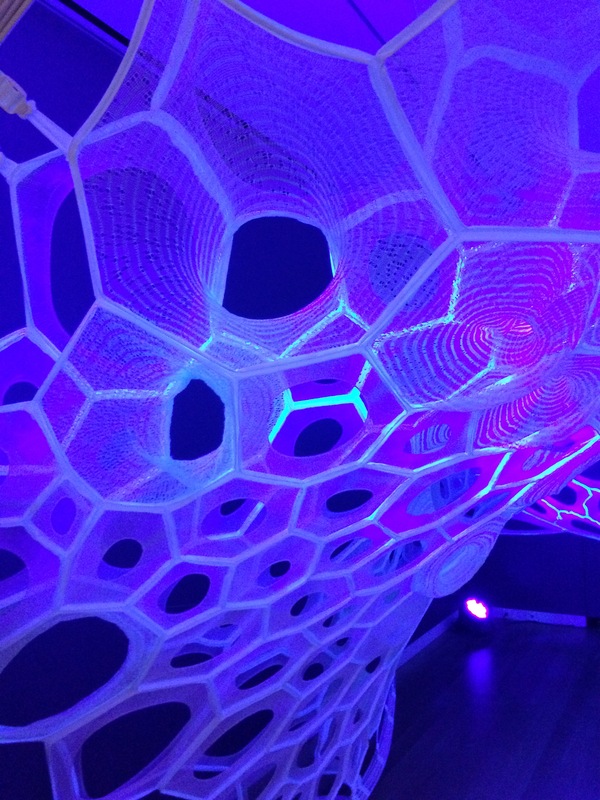 It was digitally knit using photoluminescent and solar active yarns creating a glowing environment of geometric webs. Daniel Brown’s six minute video shows the formation of a series of mathematically generated flowers. 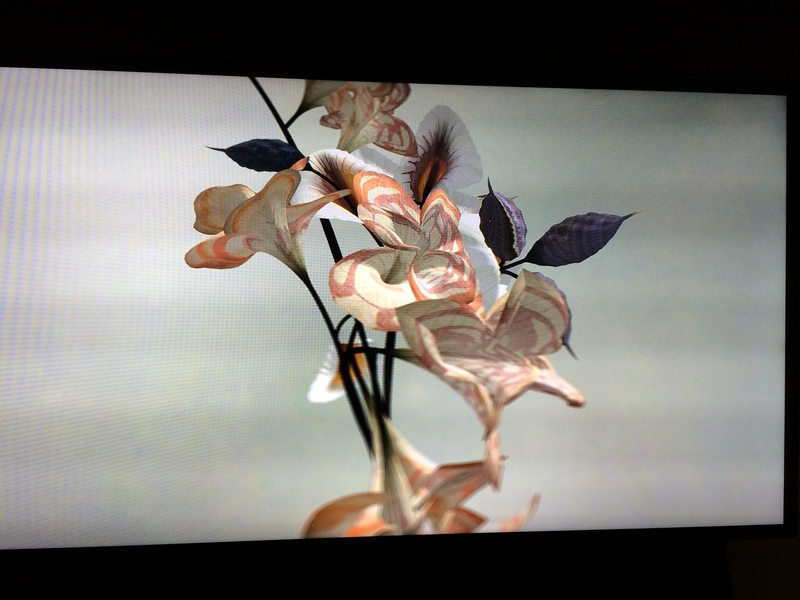 These blossoms have been created through the process of coding algorithms to digitally render an idealized image of nature. The resulting video has an eery, overly perfect, super realistic quality, an aesthetic contrast from actual flowers. Michael Anastassiades’ white marble “Miracle Chips” are circular discs that seem to have been bent into concave surfaces. 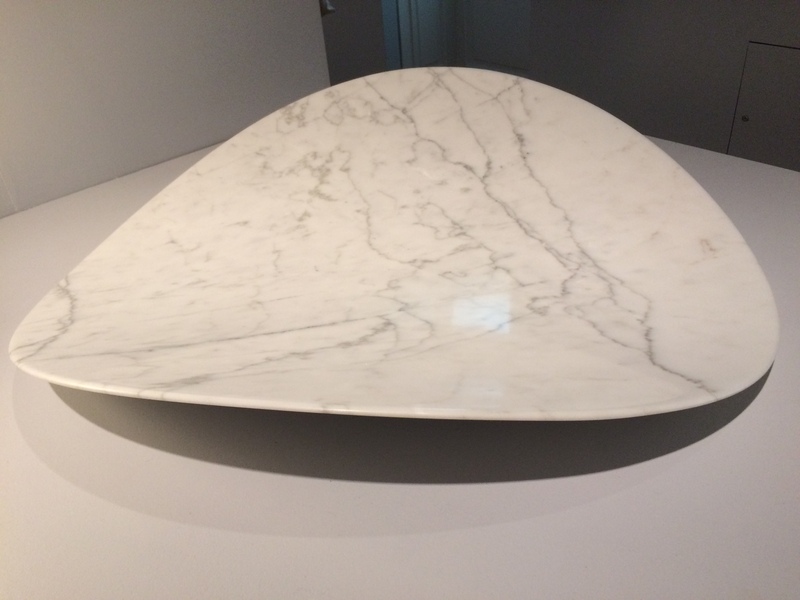 The sculpture presents a series of discs with increasing concavity. 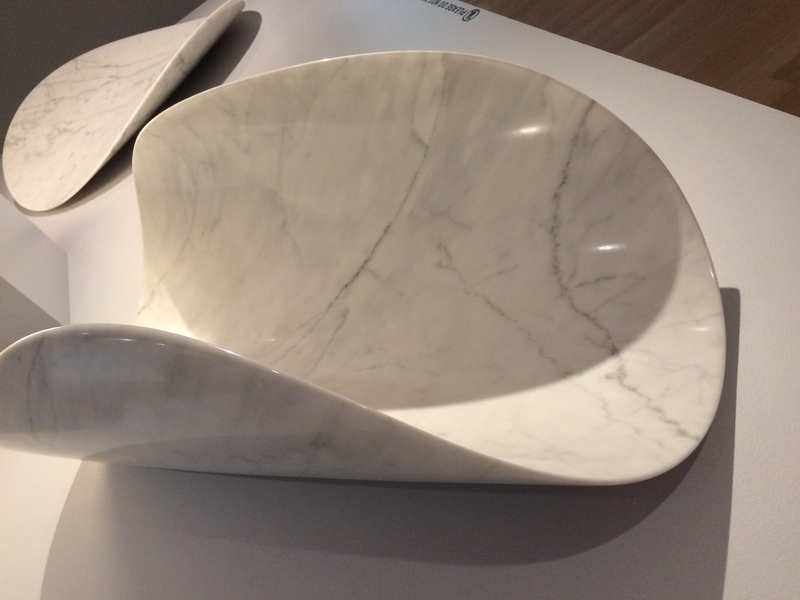 The smoothness of the curves leads the viewer to imagine it is possible to take flat discs of marble and gently fold them into these elegant forms. Mathematics was an important theme of the “Beauty” exhibition at the Copper Hewitt and the supporting text of the wall signage was clear in attributing the inspiration and use of mathematics by the artists and designers.